– The pet overpopulation problem in our community. – Where unwanted pets go. 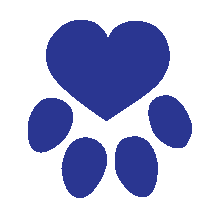 – Hands-on activities that vividly demonstrate how quickly dogs and cats can multiply. – The difference we can all make by fixing our pets, spreading the spay and neuter message and by raising funds to fix animals in our area. – How BTS is moving the needle to end the cycle of unwanted pets in the Big Bend. Interested in Scheduling a Presentation? Be The Solution founder, Gerry Phipps, often makes presentations throughout the community on the importance of spay and neuter. Her audience’s ages and interests have ranged from elementary-aged school children to college students and professional associations. Gerry is passionate about this cause and enjoys leading groups through hands-on activities that vividly demonstrate the difference we can all make by fixing our pets. If you would like to invite Gerry to make a presentation, she would value the opportunity. Contact us at (850) 545-2043 or share your idea using the form below. Find events and organizations near you that have joined us in the journey to #StopTheCycle. “You Can Make a Difference” is a program in Gadsden County that can help pet owners with spay and neuter surgeries for dogs that are over 40 lbs. If you live in Gadsden County and are interested in financial assistance for getting your large dog spayed or neutered, please call the numbers below. Vocal: Voices of Chance Animal League, Inc.